Do you ever think about how many online accounts you have, how many places you have stored your photos or backed up some of your favorite videos? Do you consider these to be assets? You might have skipped out on the traditional estate planning process because you assume it doesn’t apply to you, but that can be a catastrophic mistake when it comes to your loved ones having to make critical decisions about what to do with your belongings, including your digital ones. 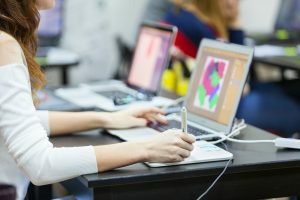 Digital estate planning is just emerging in the marketplace as an important strategy that considers all of the things that you own based on your computer or in the cloud. You might not assume that these are tangible assets, but they could have tremendous sentimental or even financial value depending on what’s inside. You might have forgotten about your passwords and your internet presence but online companies, including social media companies, are increasingly forced to consider the issues surrounding closing out an estate or who owns what is left behind by your presence. Because of these unique concerns, it’s valuable to have the insight of an estate planning attorney who can help you to craft a holistic estate plan. Your digital estate planning assets might be included separately from your traditional tools, such as a trust or a will, but an inventory of the various passwords and how to access these materials, as well as individual wishes you have about whether or not you want your accounts memorialized or shut down, can help your family members make important considerations during the time period after the loss of a loved one. Schedule a consultation with a knowledgeable estate planning attorney today to learn more. Am I Liable for a Spouse’s Debt After Death? If you recently got remarried and you have joint ownership of your home and a joint bank account, you might suddenly discover that your new spouse is making payments toward unpaid taxes and credit card debt. Understanding how this affects your estate planning, as well as your life after this person, passes away is important. You are typically not liable for debts that were incurred by your spouse prior to marriage. After your spouse passes away, the debt becomes the responsibility of that person’s estate. State laws may require you to pay debts out of the spouse’s property if you were named as the administrator or executor of the estate and this can include joint assets such as real estate and bank accounts. It may be a good idea for you to keep your individual real estate holdings and bank accounts separate from your husband. Discussing estate planning tools and options with a knowledgeable attorney is strongly recommended if you want to outline your own plans for the future. The support of an experienced estate planning lawyer is instrumental in outlining what you intend to accomplish and helping you to understand your various roles and responsibilities. Failing to keep in touch with your estate planning lawyer as your life circumstances change could be a big mistake. For example, increasingly people are experiencing a phenomenon known as grey divorce or getting remarried or divorced in their older years. This can have significant estate planning repercussions if you don’t involve your lawyer in the planning process and the revision of your estate planning documents as needed. An attorney is a vital component of your overall strategy. There are many different reasons that you should put together an estate plan, not the least of which is giving yourself peace of mind. Some other examples of reasons to put together a comprehensive estate planning include control over your assets, privacy, and protections for your family. But one other thing to consider has to do with time and money, the most basic of elements that can influence your loved ones after you have passed away. Any estate that does not include a will is referred to as intestate succession and will go to probate court. This is both slow and costly for your loved ones and the average probate decision can take anywhere from a year to a year and a half if there are complicated factors involved. In addition to this, you must consider the financial strain of such a decision. Consider that Prince’s estate has already paid out nearly $6 million in expenses to sort out the challenges with his lack of estate planning. While this is an extreme case, it’s just one example of just how much money can be wasted by failing to schedule a consultation with an estate planning attorney. 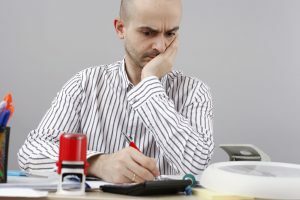 The average cost of probate court can be anywhere from 2% to 3% of the estate’s net value, which could be excessive as associated attorney’s fees and court costs can add up. Since probate nearly always costs several times as much as hiring an estate planning professional, add this to your list of reasons why you want to have a consultation with an estate planning lawyer. 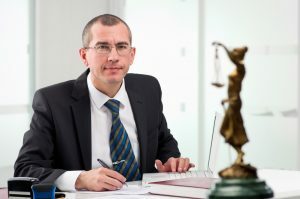 Having a consultation with an attorney doesn’t necessarily obligate you to work with him or her for the future of your estate but it’s a good idea to ask your questions now and do everything you can to minimize the possibility that your loved ones will be faced with difficult decisions, the time expended and the court process and the general frustration of having to go through probate. The loss of numerous celebrities over the past couple of years has given us important opportunities to think about the value of estate planning overall. You might assume that you are immune from the problems that could be associated with the traditional distribution of an estate because you don’t have assets or wealth of the same size as a celebrity’s. However, this could be a big mistake because everyone can benefit from basic estate planning documentation simply if you wish to pass along guardianship of your minor child to someone else or if you wish to limit the number of conflicts that could come forward about your will or lack of will. Rock and roll star Prince and the queen of soul Aretha Franklin died without appropriate estate planning and passing without a will creates significant problems for your heirs. Yet, according to recent studies completed by AARP, only two out of every five Americans over the age of 45 don’t have a will. If you die without a will, your estate is settled based on the individual state laws that determine who inherits what. This means that you have died intestate and your assets will be passed through intestate succession. The state is up for determining who will be able to receive your real estate, your personal property, and anything else that you own. Probate involves the legal process of transferring your property to rightful heirs and an administrator will need to be appointed by the judge to manage this process. Not only can this be problematic for your loved ones from the perspective of the amount of time that it takes to resolve these issues, but this can be costly and can also lead to fighting and further conflict among your loved ones as they are coping with your loss. A consultation with a knowledgeable estate planning attorney is the first step to figuring out your estate planning goals and means. 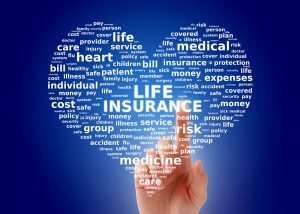 Does My Life Insurance Policy Pass Through Probate? Probate assets and non-probate assets raise all kinds of questions for people approaching the estate planning process. It can be difficult to figure out which of your assets needs to proceed through the probate process and which could be passed down to your heirs outside of traditional probate. A life insurance policy is one example of an item that passes outside of probate due to the use of beneficiary forms. Beneficiary forms are used to establish who you would like to receive your assets, when you pass away, from a life insurance policy. This is different from a will, which articulates items of personal property and can even name a guardian for a minor child. Your life insurance policy will pass to the primary beneficiary or contingent beneficiary after you pass away based on the beneficiary forms you updated and maintained with your own life insurance company. This makes it very important to update all of these materials based on any major changes in your life, such as the birth of a child or grandchild or getting a divorce. Since your life insurance company will rely entirely on these forms to pass down your assets after you pass away, you need to make sure that you have maintained updated paperwork directly with your life insurance company so that there is no confusion or misapplication of life insurance proceeds when you pass away. Your life insurance policy should be included in your comprehensive estate planning. Make sure you sit down with an experienced estate planning attorney to discuss your options. What Role Do Financial Advisors Play in Estate Planning? If you’ve already made an appointment to discuss your estate planning options, it’s possible that your estate planning attorney recommended that you have other professionals in your corner, such as a CPA or accountant or even a financial advisor. The truth is, much like estate planning professionals, not everyone thinks the same way about the financial planning process. It’s in your best interests to do appropriate due diligence and research to figure out whether the financial advisor you intend to work with is the right fit for you. One of the easiest places to start in your search for financial advising support is to ask your estate planning attorney directly. If he or she is active in the community, they may already have a relationship with a financial advisor they trust. This can be beneficial to you because since your estate planning professional already has a regular and ongoing relationship with this other party who has the expertise, it will be easy for them to coordinate together as you develop or change your estate and financial plans. Entrusting your future plans to a team of people who are thoroughly supportive of you and aware of any changes in the laws will be critical for you as you go forward and it can be much easier for you to accomplish your goals knowing that multiple people are looking out for your best interests. 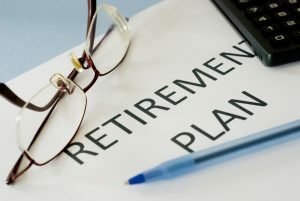 Getting a referral from your current estate planning attorney is often the first stage for identification of a financial advisor and you can continue to do research on your own and ask friends and family members who have had a good experience with other financial advisors if you are not able to come up with someone you are interested in working with. Should You Create A Financial Plan for Living Alone Before the Death of a Spouse? It can come as a significant shock if your beloved spouse passes away before you have had the opportunity to address a solo financial plan, and yet this happens to far too many widows and widowers every single day. Developing a financial plan in advance of the death of a spouse is important for protecting your best interests whenever possible. Most people who are married plan for their future with a spouse, not without one. But your decision to plan for a contingency could prove instrumental if something happens to your spouse suddenly. A recent study, for example, found that more than half of widows did not have a plan for what would happen if either one of the parties to the marriage suddenly passed away. And the majority of retirees who are married share that did not have enough financial preparation to retire on their own if their spouse passed away. Both members of a couple should consult with an estate planning lawyer to discuss spousal estate plans. Getting help from a trusted and competent advisor is essential and putting together estate planning documents that address the vast majority of your concerns is important as well. An elder law attorney and an estate planning attorney can tell you more about how the documents you currently have and strategies currently in use, such as the reliance on a trust, can help you to articulate short and long-term plans. You may need to address whether or not you have enough life insurance. It is critical to get the necessary amount of insurance in case of a premature or unexpected death. A financial professional can determine through several different methods, whether or not you have enough life insurance, including an analysis of financial needs, capital retention or human life. 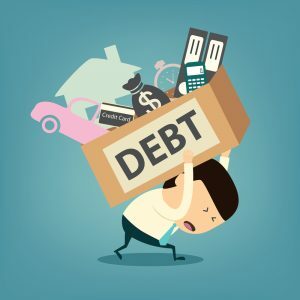 The bottom line is that you need to understand what financial resources are available to you and how you may be eligible to tap into these if something were to happen to you or your spouse suddenly. Scheduling a consultation with a knowledgeable elder lawyer is the first step. 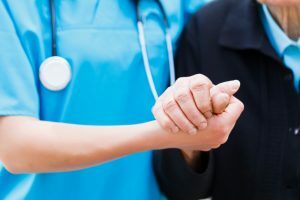 If you have read any of the recent studies or had a personal connection to someone who had to enter a nursing home suddenly, you might have questions about long term care insurance. Long term care insurance can be a critical financial stop-gap to assist you and your loved ones if you needed advanced medical care and did not want to have the payments for this pulled from your personal resources. However, there may be some alternatives available to you, so before you purchase a long-term care insurance policy, make sure you have done your research. One of the most common phrases told to people who are purchasing an LTCI policy is to lock in the rates. Thousands of people who purchased a long-term care policy were told at the time that they bought it, that it was smart to take out their policy now because the premiums could become extremely expensive. However, the premiums on LTC insurance can increase at any time, since within the fine print of your policy there is likely a statement that your rates are subject to future increases. This means that nothing was ever guaranteed to you as far as your insurance cost. One of the reasons that premiums have increased for LTC insurance policies is because insurance companies misjudge the cost of claims and the duration of claims. In 1980, the numbers for LTC expenditures across the United States were $30 billion. However, by 2015 that number had jumped to $225 billion. This can raise questions about whether or not it is the right idea to purchase a long-term care insurance policy. You might choose instead to use a whole life insurance policy that has a chronic illness rider. This could help to protect you in the event of the majority of long term care protection problems. One of the major perks to using these types of policies is if you were to gain an inheritance or to sell your home, you could have a safe place to hold your money until you need it. Mortality tends to increase alongside the cost of long term care and ultimately this favors the return inside a life insurance contract. Consulting with an experienced estate planning attorney is also a solid tool to consider exploring in the event of trying to protect your best interests for your loved ones. Will A Parent’s Medicaid Benefits Be Jeopardized with A Testamentary Trust? One of the most common questions presented to estate planning attorneys has to do with approaching Medicaid planning in the right way. 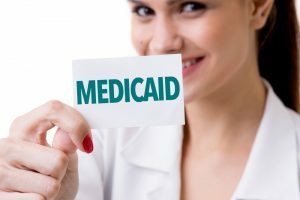 Medicaid planning requires advanced knowledge and plenty of experience in this field because the rules surrounding Medicaid are subject to change and are state specific. One question that you may have in relation to your elderly parents is about Medicaid benefits. If your elderly loved one currently lives in a nursing home and you are worried about the surviving spouse who may pass away first, this can raise questions about whether or not the benefits will stop. People should always have their estate planning documents created in the past thoroughly reviewed when initiating the Medicaid planning process or a Medicaid application. There are specific rules about how many assets a person is allowed to have to maintain eligibility for Medicaid. If your loved one, who is currently in a nursing home for which the bills are being paid through Medicaid, receives a sudden inheritance that puts him or her over the cap, that person could lose benefits at least temporarily until the inheritance was used up on nursing home expenses. A testamentary special needs trust could be an option depending on the circumstances of your loved ones. The first spouse’s estate or a portion of it would flow into the trust, following the payment of all debts. 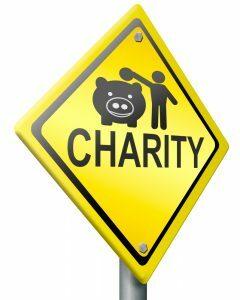 Then an adult child or someone else can be named as the trustee and the trustee is eligible to use the funds to provide for services that might not be covered by Medicaid, such as second medical opinions, transportation, private care giving services, special therapies, and more. The money will then be able to pass onto other beneficiaries rather than going to Medicaid when that parent passes away. However, this requires complex planning techniques and insight from an experienced attorney. Schedule a consultation with an estate planning lawyer today. You might not assume that your own estate could qualify as celebrity news after you pass away, but there are key takeaways hidden in the do’s and don’ts of most celebrities. Some purposefully chose not to settle their estates with proper strategies in advance, and plenty of those cases end up being legal battles for many years to come. The more wealth and assets inside the estate, the more important it is to plan. Court filings that were made on August 28th indicated that queen of soul, Aretha Franklin passed away without a will; posing many different questions and concerns over conflict for her family members and would be beneficiaries. Plenty of celebrity passings have indicated estate planning problems or the dangers associated with lack of estate planning entirely. We can learn important lessons from these celebrities and avoid putting family members through challenges when you pass away. The estate of Aretha Franklin will be left for the courts to sort out in what will most likely be a proceeding held in a very public manner. This follows other celebrities prior to Aretha, such as Amy Winehouse and Prince, whose estate planning nightmares left years of probate administration and related conflicts for their family members. Even for people who have normal sized estates can put their family members in a difficult situation when a loved one passes away without a will. This causes financial and tax related hassles that could have been avoided. Furthermore, family members who do not agree with a current version of a will or who argue that they should be entitled to more benefits can delay the probate administration proceedings significantly and make things much more difficult for all family members involved by arguing and continuing court proceedings for many years to come. 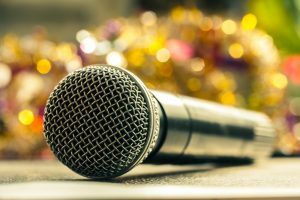 You can learn from the mistakes of these many celebrities by having a will in place and one that is regularly revisited with the help of an experienced estate planning lawyer. An estate planning lawyer can make things easier for you as well as your loved ones by articulating the plan that addresses your individual concerns and needs. If you don’t take the appropriate planning, guardianship laws could prove problematic for you or your loved ones. No one wants to be in the position of having to go through a court battle when their loved one is in need of support or additional care. 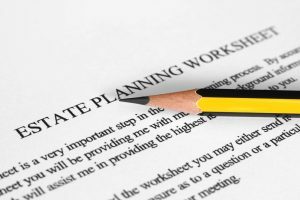 If you don’t have an appropriate estate plan drafted with the help of an estate planning attorney in your area, however, your state’s guardianship laws can become problematic sooner than you expect. 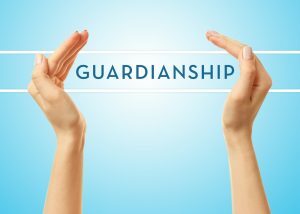 Determining when someone is in need of a guardian can be a difficult question in and of itself. A person who has recently been diagnosed with dementia might need to have a guardian created for them, but this can raise questions about whether or not the person has enough clarity of mind in order to pass on this power to someone else. 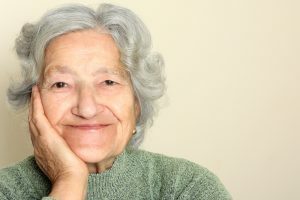 Dealing with issues such as a diagnosis of dementia or Alzheimer’s can rattle families to their core and things that can easily fall of the list are planning for guardianship, but it is an important question to consider regarding who may be able to step in and take care of a loved one who could very shortly be unable to take of themselves. Establishing circumstances related to guardianship is critical because it can be hard to make the call about when a person has passed the point of being able to take care of themselves. Depending on the speed at which a diagnosis of dementia or Alzheimer’s advances, this can come sooner or later, but everyone involved in this situation needs to be informed about their rights and further details. The support of a lawyer can help to clarify any misconceptions that you might have surrounding the process of establishing guardianship. Many people are aware of the different types of guardianship nightmares that can develop in your individual state. Make sure that you avoid this by considering ample steps that you can take to protect yourself and your loved ones.